Now, before you think I'm a worn out mother (I mean, I am, but....), my kids are just as excited about this as I am. They both enjoy school and are wanting to see their friends. My daughter had a lot of friend time at the beginning of the summer, but then most of her friends were out of town during the last part of the summer. Plus, I think they are sick of looking at each other. Anyone who grew up with siblings close to their own age can understand this. Now, I promised that I would reveal who my other favorite audiobook narrator is. If you go back to this post, you will recall that I was so taken with David Giuntoli's narration of The Clockwork Dynasty, that I added him to my "will listen to them read ANYTHING list," which previously only had one other name. I left some clues, I offered a $15 Amazon card as a prize...and no one got the right answer! So, I still have that card and I'll find something to do with it in the future--I think just a plain giveaway is a little dull, so I'm going to try to come up with something fun, but maybe not quite as hard. Yes, ladies and gents, it is the incomparable Emma Thompson. She actually doesn't have that many audio credits, but she has narrated some of her own books. She wrote a few new Peter Rabbit books, which included CD's of her reading it. The books are amazing (I actually didn't like the Beatrix Potter books--they freaked me out when I was a kid--but I love her books). The kids and I also listened to her narrate another book she read, which I purposefully left off my post last week, but more on that below. Anyway, I am keeping my eyes open for anything new that she narrates. We've been busy with end of summer stuff this week, so I didn't get much reading done, but I did a fair amount of listening. I didn't make much progress with either Wish You Were Here or Priestdaddy . But, again, that was completely due to circumstances. I've really enjoyed what I have been able to read of both. Once school starts up again, I will have more time (including my pick up line reading...man, I've missed that), so I'm hoping that both of these books will be moved below to the "read" portion of this update next week. While I finished a lot of listening this week, I also gave up a lot listening--more on that below. 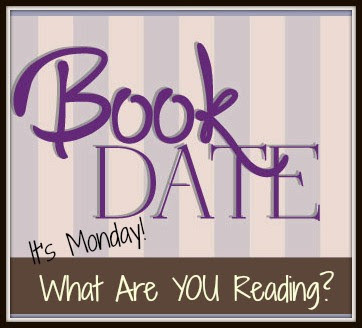 I decided that I needed to take a break from fiction because I just wasn't finding narrators that were working for me. I came across Who Thought This Was a Good Idea? : And Other Questions You Should Have Answers to When You Work in the White House and thought it would be a great choice. I have different narrator standards for non-fiction (basically, I'm much less critical) and, people, I really need some Obama stuff right now. Anyway, this sounded great and I'm enjoying it...but so far Mastromonaco has spent time talking about menstruration mishaps, IBS, and travel induced vomiting, so it isn't exactly what I thought it would be. 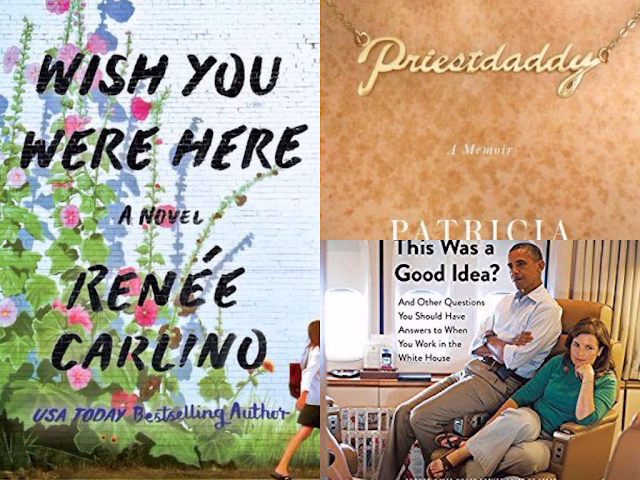 I did finish two audio books last week, and loved both of them. 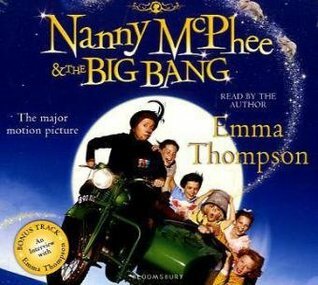 The first is the one I happened to not mention last week, Nanny McPhee and the Big Bang . I was a little worried about how this would go down with the kids. They haven't yet seen the first (or second) movie--although I think both are now waiting for me to pick up at the library, thanks to them not streaming anywhere! Secondly, this has the story interspersed with Thompson's diaries about filming. I wasn't sure if the kids would follow this, but they seemed to have no trouble with it. From my part, I enjoyed the diary parts more than the actual story--not because the story was boring, but because the diaries were fascinating. There is also a Q&A section at the end, which was quite fun. 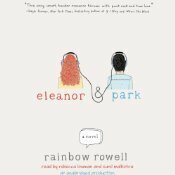 I powered through Eleanor and Park and loved every minute of it. I had previously read the book, so I knew I loved the story. In fact, I think this might be my favorite YA novel of all. But the narrators were quite good. I was a little worried about it at first, only because both--Rebecca Lowman and Sunil Malhotra--seemed to be playing it a little safe. But, as Eleanor and Park's relationship's intensify, so does the narration. There were a few little nitpicks I could make about how the narrators did the secondary characters, but overall I'd give both narrators an A-. As I said, it has been a crazy week, so not much on the blog. The only post was last week's anemic eclipse-themed Saturday Snapshot.